Completion of the Privacy & Data Protection Online course will earn the learner the Privacy EAGLE Open Badge. The learner has an 'eagle' view of data protection compliance requirements within the upcoming EU Data Protection Regulation. 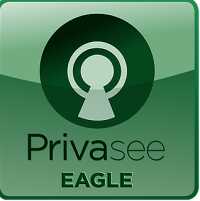 "Award of the Privasee Eagle OpenBadge (awarder: Privasee AB) is evidence that the Learner has a basic understanding of the OECD Privacy Principles and the EU Data Protection Regulation (GDPR). The Learner studied GDPR specifics, such as: Consent, Rights of Data Subject, The Right To Be Forgotten (RTBF), Data Protection by Design, Privacy Impact Assessments (PIA) and Breach Notification." Earn up to 16 Continuing Professional Development (CPDs) points! Start date: Join when you are ready, it is a live, interactive course!